On Saturdays cutting time is 7am cst, no exceptions. We are not available after that time on Saturdays. Shipping Schedule: We will be shipping Monday to Sat. cut off time is 7am cst. We ship base on shipping information on our site and not Paypal. 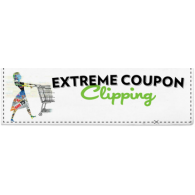 Coupons are clipped in sets of 20 each. Keeping orders in one transaction will help lower our fees and maintain speedy services.